Players can earn Celestial Coins by completing the account-wide weekly quest, The Celestial Tournament. Upon completing this quest for the first time, players will receive a one time quest that also rewards Celestial Coins. Rakes the enemy with ghostly claws, dealing 551 Beast damage. Always hits when the weather is Moonlight. Deals 492 Magic damage and turns the weather into Moonlight for 9 rounds. A vengeful attack that deals Beast damage equal to the last hit taken by the user. 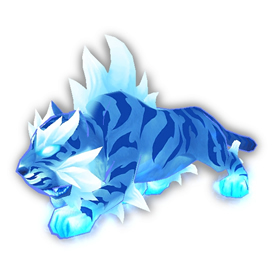 I dont understand why this pet is better than Ban-Fu. Ban-Fu's skill set is more adaptable than Xu-Fu. The Teroclaw Hatchling is far superior for battling critters and leveling other pets. I lead with a P/S pet with cyclone. Then Switch in with my second (leveling) pet and then to the Teroclaw in the following round. Use Nature's Ward and then again as soon as the buff is gone. As long as Nature's ward is up, use Claw and then finish with Ravage if you need more health. I rarely ever need to use the Revive stone. Plus, Tero is dirt cheap on the AH as oppose to going through the trouble for Xu-Fu. I use Xu-Fu heavily in wild pet battles when I'm hunting for rare pets. He can easily wipe out a team solo. The Feed + Prowl combo is deadly against weak wild pets, as in often one shots them. I let him bat around the first pet which means he goes into the second fight with low health. Then I Feed/Prowl the second pet and unless they are uncommon or rare, they typically die in one hit. Xu-Fu is at full health again for the third pet. Can put a pet on the team for mechs but don't see those much. He is a very solid PVE Beast. His ability to boost his attack and regain health makes him very strong. With that said, he is not as strong in PVP play, his moves are predictable and very difficult to use against top players. I have seen success with him, but it has been limited. His power isn't enough to offset his speed, easily countered by a decent team. i absolutely adore Xu-Fu can single handedly destroy Erris's critter team and any critter team. Was the first out of my 4 pets from the celestial tournament, and came in handy there as well. Not sure why so high rated. Almost never on my pve team onless following a strat guide. Almost never fight pvp. This little thing is amazing. Currently leveling him, and even though he is only level 16 he can tear through a team of 25 pets with very little help from a boosting pet! Awesome fighting pet, and as a bonus it is adorable too! I just beat the Celestial Tournament for the first time today. Beating it the first time gives you 3 celestial coins. It costs 3 celestial coins to get one of 4 celestial pets. I chose Xu-Fu because he's so CUTE! I may not enter the celestial tournament again. I just wanted Xu-Fu. Xu-Fu is basically the reason why moves like Dodge or Clobber exist. He is one of my go-to PvP Pets, and if I see the enemy team doesn't have a single pet capable of stalling or controlling the battle to neutralize him, I will send out Xu-Fu and -- like a harbinger of death -- he WILL take out the very first pet he comes into contact with. This little guy telegraphs his attacks and can be very easy to stop with the right pets, but he utterly devours the unprepared. They need to make a hunter pet version of Xuen! 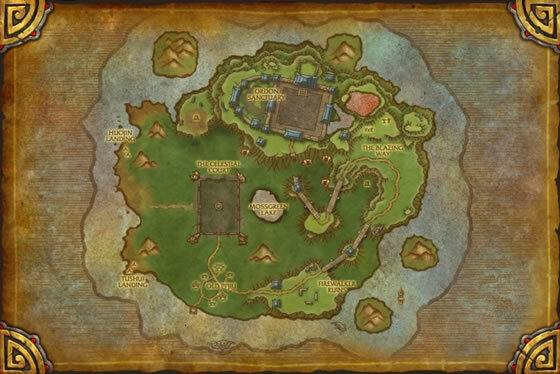 Hunters across Azeroth demand this! A Xuen mount would be nice as well. -> Wildhammer Gryphon Hatchling -> Flock -> Flock (you wont see it, fight is over and you won). Whatever Xu-Fu does (lucky crit or not), he is dead after this! You cannot fail with this setup. The pet you receive does not have the same moves available as the Celestial Tournament opponent, which has Moonfire and Feed. Whereas the pet has Moonfire or Feed. Can this pet be cage ? As I would like to get some for my son . I do notice that he sits alot and sometimes refuses to move even if you move away, only if you move so far away will he begin to move again. That is so cute! Picked him up as my first pet in the celestial tournament. My strategy to defeat him was quite simple: Started with pandaren water spirit, geyser, whirlpool, switch to chrominius, howl and surge of power. Altought it is quite risky because if he crits only one attack one of your pets will die with this strategy. He's cute, he's cuddly, he's powerful, but does anyone else wish Moonfire and Vengeance would switch place? Fierce and loyal, Xu-Fu loves to hunt by moonlight. Once during a full moon, he killed and ate an entire Ironfur Great Bull, prompting a two day nap.